These adorable, cuddly Holy Bears feature a Baptism shell image and are available in White, Pink, or Blue. Share the wisdom of Jesus with little ones with Jesus Says . . . In the pages of this sweet book you’ll find short explanations of Jesus’s most important ideas. Simple teachings such as, “Jesus says . . . be a good friend” and “Jesus says . . . be kind to everyone,” are helpful reminders that small children can use to honor Christ’s most important teachings. The sturdy pages of this board book are perfect for toddlers during playtime, bedtime, or anytime! The cheerful pages will delight small children as they discover precious scenes of kindness and generosity. 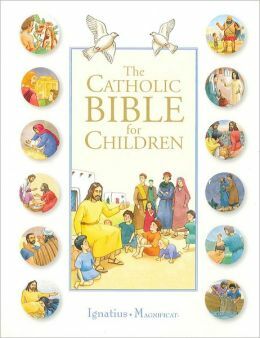 Complete with cute and colorful illustrations showing Christ’s fundamental truths in action, each page is a wonderful peek into how children can learn to practice their faith and become closer to God. This simple but fun book will make it easier for little ones to learn and practice the loving kindness taught by Jesus, as well as create a joyful reading experience for parents and children. Watch as your children learn what Jesus Says . . . with this special book! Children will find endless joy in this glow-in-the-dark bedtime prayer book featuring more than fifty beautifully illustrated, kid-friendly prayers. The special, glow-in-the-dark hardcover is an irresistible touch of fun that builds excitement about the nightly prayer ritual. This is a perfect gift for new parents and young families who want to incorporate daily prayer into the bedtime ritual. Short, rhyming verses that underscore God’s love will comfort and relax children to sleep while also providing them with a better understanding of their faith and its role in their life. Approachable and colorful illustrations of children, baby animals, rainbows, and more will accompany each prayer. Parents and grandparents will love how Guided by His Light prepares children for a long and fulfilling relationship with God through consistent prayer.